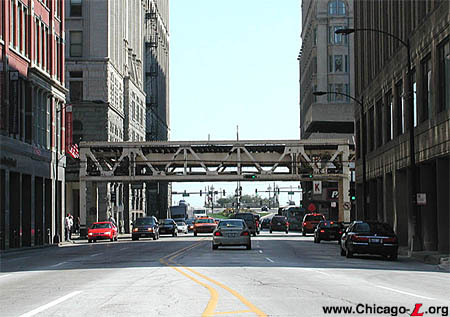 As originally constructed, the South Side "L", like the other early "L" lines, ended just outside the central business district. The South Side's terminal was at Congress Street, between State Street and Wabash Avenue. 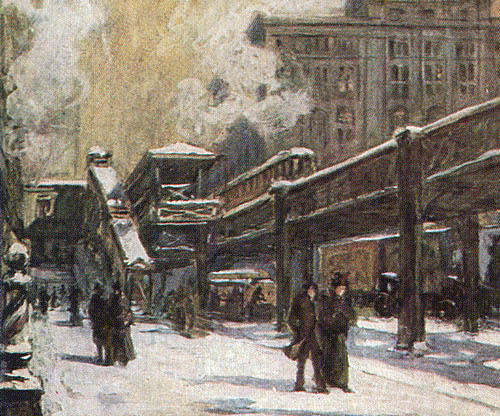 A common downtown terminal for all the elevated lines was desired, however. 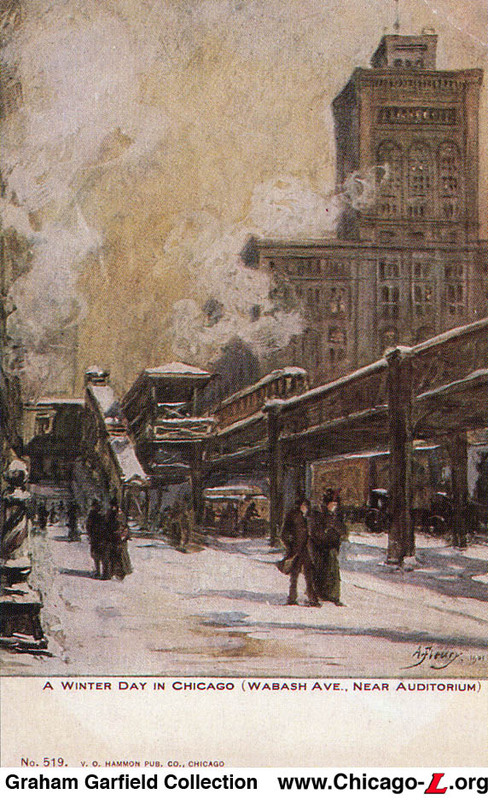 The Union Elevated Railroad, backed by transit magnate Charles Tyson Yerkes, was incorporated on November 22, 1894 to construct a loop around the central business district to connect the three elevated lines that until 1897 ended at individual terminals. The first revenue train operated around the downtown quadrangle on October 3, 1897. To allow South Side "L" trains access to the Loop, a short section of track had to be constructed to connect the two lines. Diverging from the South Side main line about 500 feet south of the Congress Stub terminal, the tracks went a 1/2-block east over Harrison Street to Wabash, where they proceeded north to the southeast corner of the Loop at Wabash and Van Buren. The Congress/Wabash station was built to replace the Congress Terminal, which closed October 18 when all trains were touted onto the Loop. The station was similar to those along the Wabash leg of the Loop. The station originally had dual station houses, one on each platform. The buildings were executed in painted sheet metal. The Palladian designs were identical to the still-extant Inner Loop station house at Madison/Wabash and were similar to Quincy/Wells, featuring Corinthian pilasters, window surrounds resembling the Baroque style and cartouches along the roofline. The station house interiors featured wooden floors, pressed tin walls, and tongue-in-groove wooden wall paneling. The ticket agents' booths were integrated into the trackside elevation of the building, with windows and doors from the booth both inside the station house and onto the platform. The original platforms featured canopies of steel supports with gently-curved brackets and intricate latticework, covered by hipped corrugated metal roofs. The original railings consisted of tubular metal frames and posts with panels of decorative, vaguely diamond shaped metalwork inside. The floors were wooden decks and the lights were incandescent, strung along conduit under the canopies and attached to shepherd's crook poles with porcelain-glazed "pie pan" shades outside the canopies. The station took over the function of the Congress Stub, serving attractions like the Auditorium Theater and Hotel, the Congress Hotel and other area accommodations. Soon, the Loop reached operating capacity. On March 10, 1902, the Congress Terminal station was reactivated to handle rush hour trains that could not be accommodated in the Loop. To distinguish it from the Congress/Wabash station, the Congress Terminal was renamed "Old Congress". 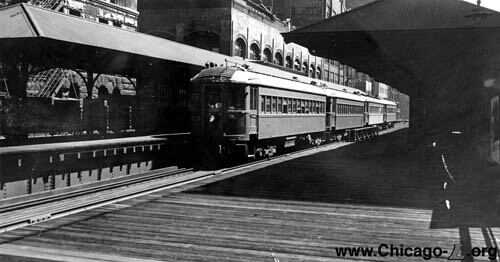 Both Congress stations remained active until August 1, 1949, when all North-South Route trains were rerouted through the State Street Subway and use of the tracks from Wabash/Van Buren to 18th Street was discontinued by the CTA. At this time, the station closed. 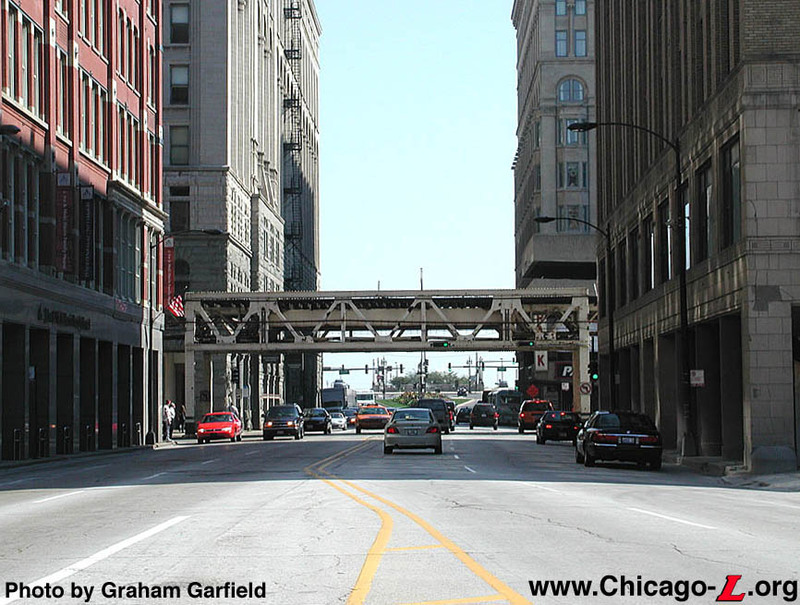 The North Shore Line interurban continued to use the tracks until 1963, but evidence suggests they did not use the Congress/Wabash station after CTA abandonment. 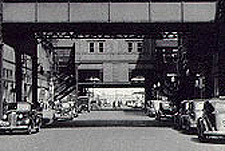 The station was demolished by the mid-1950s when Congress Street was widened into a parkway to connect with the new Congress Superhighway.